How will the fight over spending affect U.S. economic growth and the upcoming Presidential election? Kate Davidson from the Wall Street Journal has the story. Will Joe Biden's long history in politics be a hindrance? Ken Thomas from the Wall Street Journal has the story. Police say Jessie Smollett faked hate crime, North Carolina board calls for new election, and can anything go right for the 2019 Oscars. Democrats are dramatically changing the way they talk about race. Alex Thompson from POLITICO has the story. A deep dive into the midterm results, why Amazon is splitting their headquarters, and this is what's happened to stocks after every midterm election since World War II. Because of hot button issues, young people are expected to have a stronger showing at the polls. Caroline Simon of USA Today has the story. Joshua Jamerson from the Wall Street Journal breaks down races to keep an eye on during today's midterm elections. Party leaders make final pitches for the midterm elections, will young voters turn out this year, and take the edge off voting day stress with these election-themed cocktails. GOP supporters are hoping the Amish could give Republicans a boost during tomorrow's elections. The Washington Times' Dave Boyer gives us a look. Deidre Shesgreen from USA Today and Gordon Deal discuss why the world is watching the 2018 midterm elections. Donald Trump has won the battle for the GOP's soul. The Wall Street Journal's Jerry Seib has the story. Jacqueline Thomsen from The Hill explains why experts are worried about vulnerabilities in our election systems. 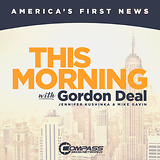 Josh Kraushaar from the National Journal and Gordon Deal discuss the battles we can expect in the upcoming 2020 election. 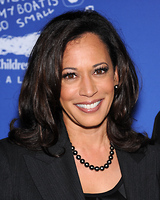 Ben Kamisar from The Hill explains why the GOP hopes for a crowded Democratic primary field. The Hill's Reid Wilson and Gordon Deal discuss the battle between Democrats for top campaign operatives ahead of the 2020 election. Will the GOP be able to get a straight message out of Washington going into midterm elections? David Drucker from the Washington Examiner has the story. With the start of primary season more and more people are worried about our election systems. Dan Boylan from the Washington Times and Gordon Deal discuss. Trolls were dolling out their misinformation way before the 2016 election. Rob Barry from the Wall Street Journal has the story. Senate Republicans are hoping President Trump can give them a boost in the mid-term elections. Caitlin Huey-Burns from RealClearPolitics explains. Erin Kelly from USA Today has a look at the plans to keep elections secure. James Antle III from the Washington Examiner joins us with a look ahead to the 2018 races.